Finally! 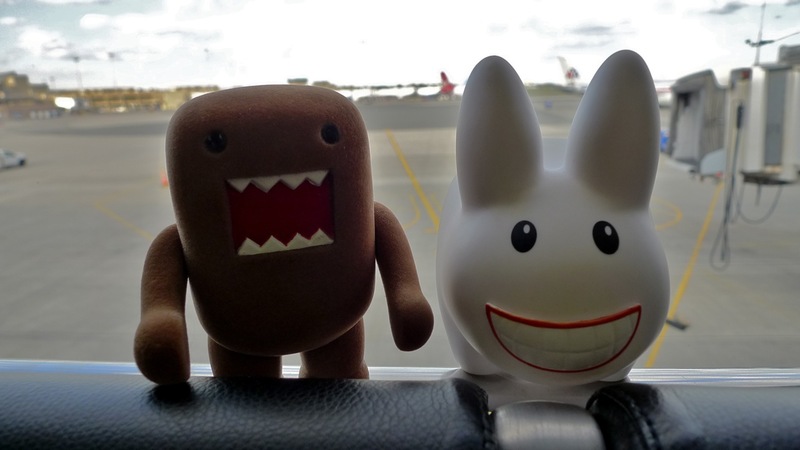 Pipkin has been wanting to re-visit the west coast ever since Domo first freed him from Box Life in August 2010. Domo found Pipkin in a boutique toy shop in Port Townsend, WA, and took him under his brown, fuzzy arm for a whirlwind adventure around the Pacific Northwest. 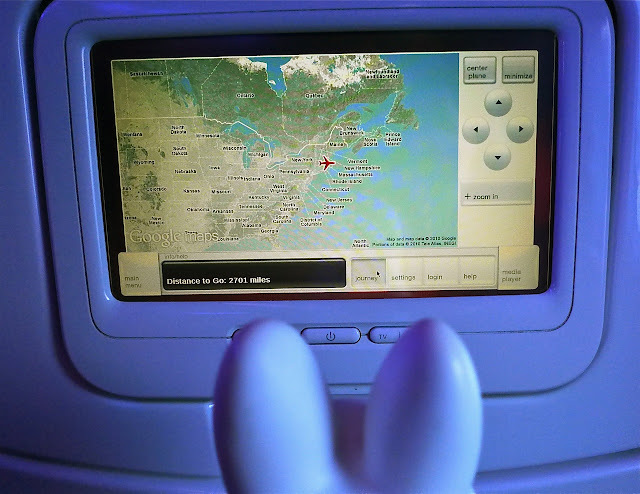 Now, Pipkin is excited to visit a little further south down the coast - San Francisco, CA - the home of his creator, Frank Kozik. Not only is he super excited to meet his maker, but he is hoping to meet some of his extended labbit family. 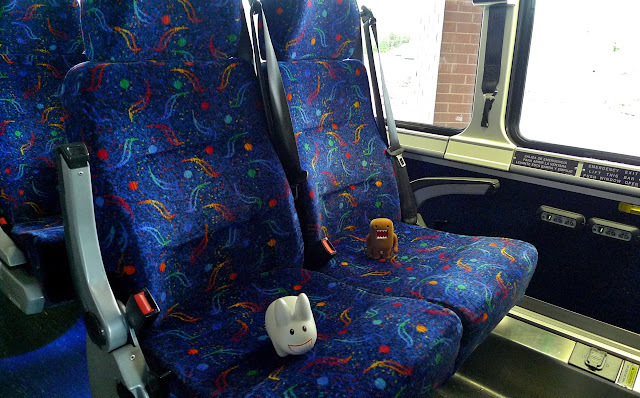 To get to San Francisco, Domo had to arrange hitching a ride to Londonderry, NH, where they caught this giant coach bus to Logan Airport. Pipkin thought the fabric was the most fun fabric EVER. It was like fuzzy rainbow confetti everywhere! Let the party begin! At the airport, they watched the planes take off from the lounge. There weren't too many people on the flight. Almost everyone could spread out and take up a section of 3 seats to themselves, so Pipkin and Domo scored their favorite seats - window, over the wing. ...before wondering why they seem to be flying the wrong way! No worries, Pip. Planes take off in the direction of the wind, and land against it. 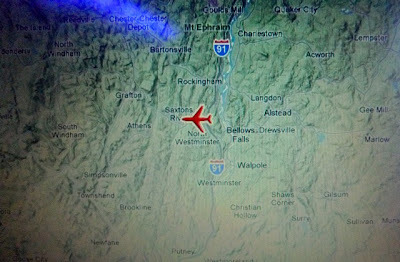 The plane's gonna turn around! How cool is this? The plane flew right over their home in Bellows Falls, VT! 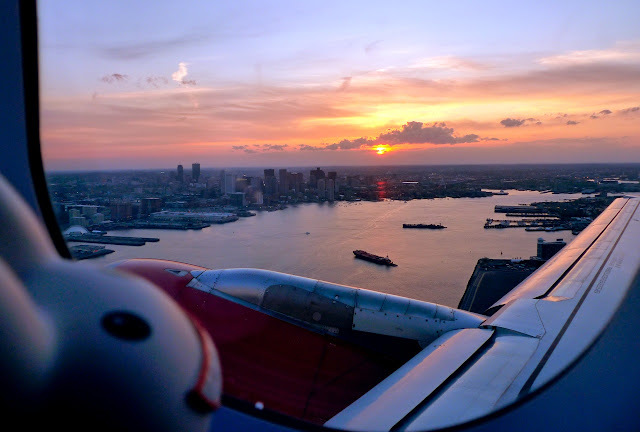 The best thing about flying East to West during a sunset is the super extended sunset. 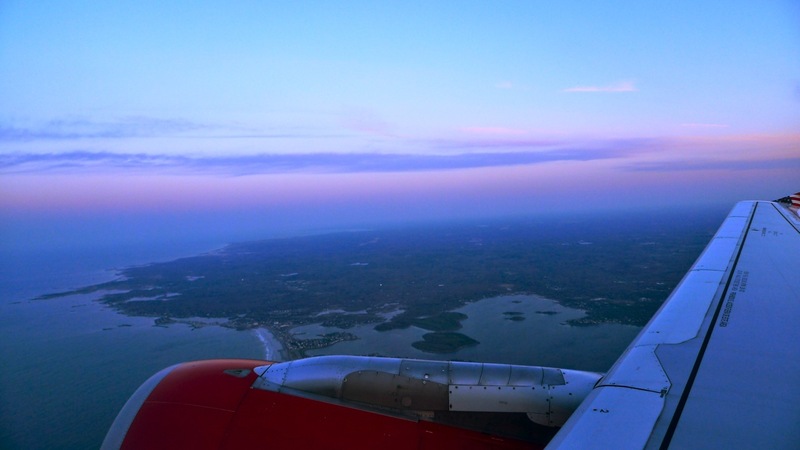 The colors are brilliant, and sometimes, you can't tell where the land ends and the sky begins. 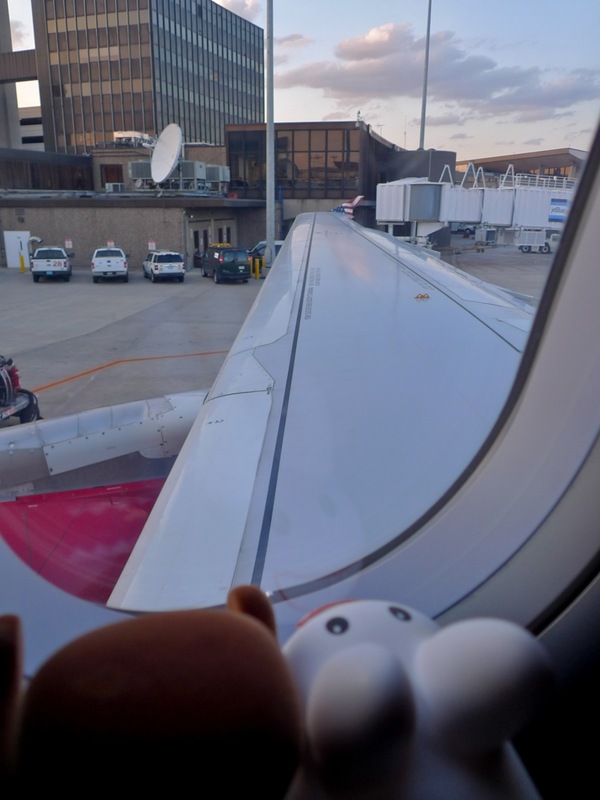 But eventually, the rotation of the earth wins over the aircrafts' speed, so Domo and Pip just chilled in their seats and got a little shut eye. Goodnight guys, see you on the other side! !